The location is a very important factor in the success of your Brazen Head franchise. Below we have provided guidelines to assist you in finding an ideal location. A traditional location should ideally fit these criteria but you are not limited only to them. Building Site +/-350 – 450 square metres plus outside deck of 100 – 150 square metres. +/-180 – 200 square metres plus outside deck of 100 square metres (mainly end cap in shopping centers). Full Land Size (free standing) – +/- 1.3 acres. Site Criteria High visibility on a main road. Ground floor only – not 1st floor sites. Close proximity to business and residential, to ensure a good balance between daytime and evening trade. Vacant premises, land (with correct zoning) where landlords or developers will assist with base rentals. Existing restaurant to refurbish – conversions. Major new developments will be considered. 350 – 450 square metres – R1,792,000. This does not include leasable items, refer to set-up costs. Gross Sales – Estimated nett sales R450,000 per month or R5,400,000 per annum. Parking Spaces – As many as possible, with a minimum of 60 bays. Support – Full operational, marketing, design, shop fitting, carpentry specifications and artifact packages are in place. Use – Food and beverage preparation and service. Ideally the site will have 75% of the space allocated for front of the house and 25% for back of the house. Terms of Lease – Typically five year lease with two five year options. 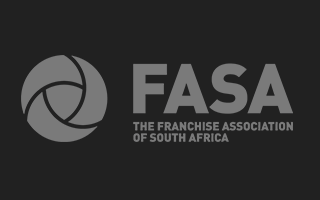 Lessee – Leases will be taken by the franchisee. Neither Brazen Head Franchising nor any of its affiliates will be the guarantor of any lease.